These two volumes cover the principal approaches to constructivism in mathematics. They present a thorough, up-to-date introduction to the metamathematics of constructive mathematics, paying special attention to Intuitionism, Markov's constructivism and Martin-Lof's type theory with its operational semantics. 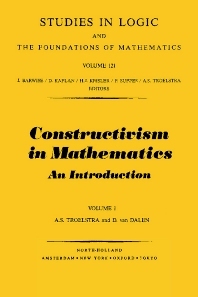 A detailed exposition of the basic features of constructive mathematics, with illustrations from analysis, algebra and topology, is provided, with due attention to the metamathematical aspects. Volume 1 is a self-contained introduction to the practice and foundations of constructivism, and does not require specialized knowledge beyond basic mathematical logic. Volume 2 contains mainly advanced topics of a proof-theoretical and semantical nature.